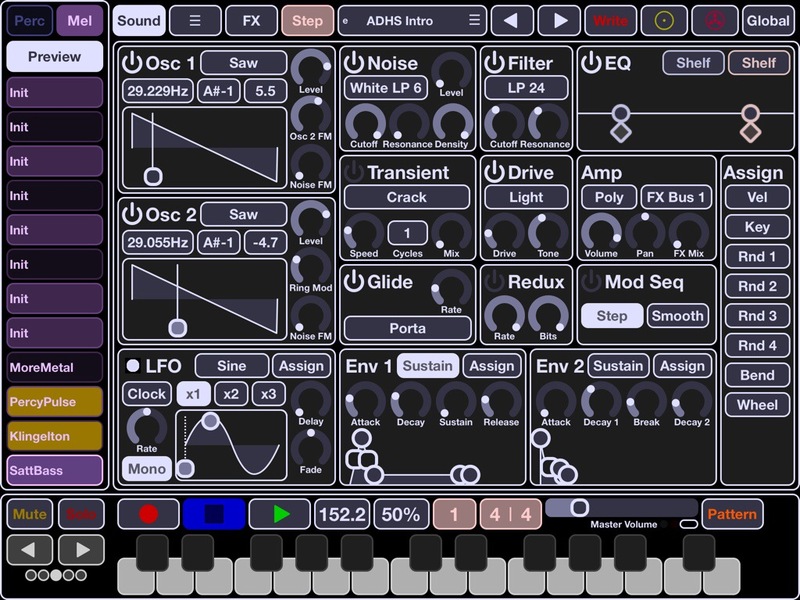 Addictive Pro – Synth of the year? It’s hard to not “squee” like a fanboy whenever I see something new from VirSyn. They just don’t disappoint with their high quality, user friendly, powerful and affordable products. 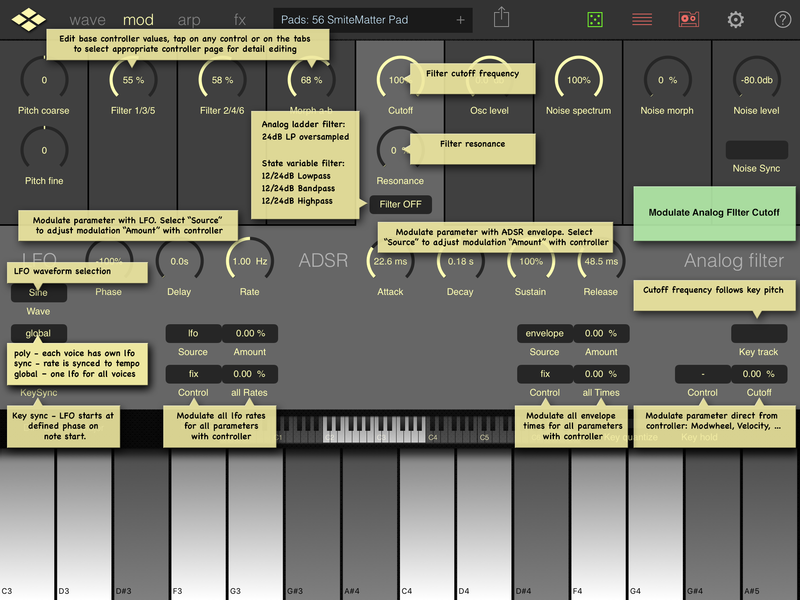 Addictive Pro (not to be confused with the awesome Addictive Synth) is yet another outstanding offering from this top tier developer. 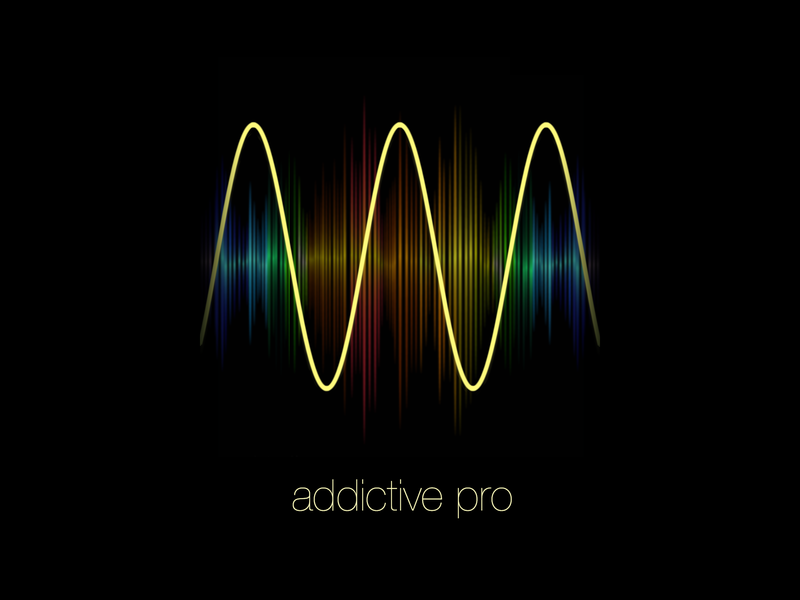 Addictive Pro is a ‘hybrid synthesis algorithm’ based instrument with wavetable spectrum synthesis of up to 12 oscillators, with a virtual analog, noise spectrum, FM and ring modulator synthesis engine. Further refinement of the sound is had with its well emulated classic analog filtering. A mouth full, I know and we are just getting started. Part of what makes this so great is the familiar or intuitive user interface. Start out easy with the ‘easy control’ to begin your trip. 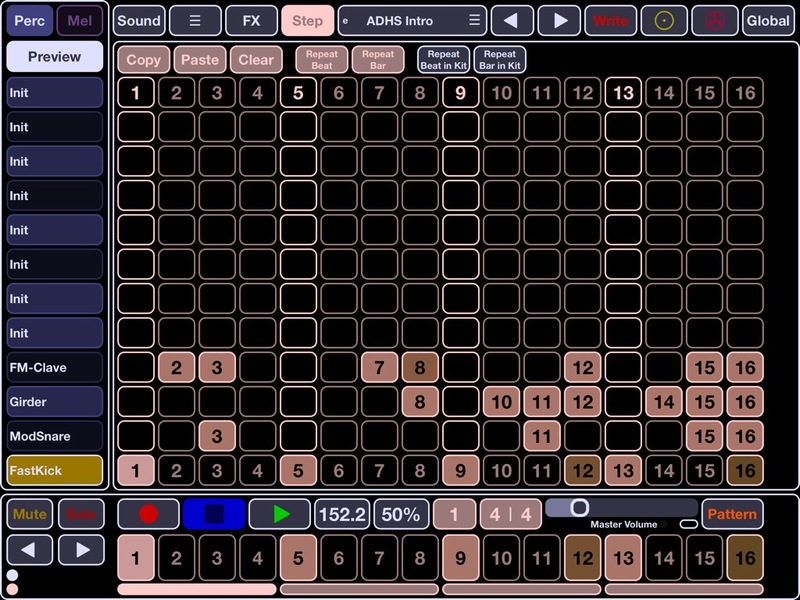 Two large customizable X/Y touch controllers dominate this first screen separated by the 4 major randomizable control sections; Wave, Mod, Arp, & FX. Tap the dice for one or all and receive something new and likely unusual. This will get you started very fast with no fuss. It’s also pretty entertaining to roll the dice. If you don’t like what you get, tap the parameter die again for a new roll. Repeat as necessary. Don’t give up too quickly though, you just might end up with something unexpected if you take some time to dig down and start tweaking specific pieces. Explore and you will be rewarded. When you start to dig in you will likely start with checking out the tabs to the right of ‘easy control’. Here on the wave a, wave b, spectrum a, or spectrum b tabs you will find some real meat to bite into. Draw on the wave or spectrum to make broad or fine adjustments. Change the harmonic content from a wide selection of presets. Select the base set of harmonic partials. Set and configure oscillators. Or hit the randomizer again to roll the dice for something new. Need help? 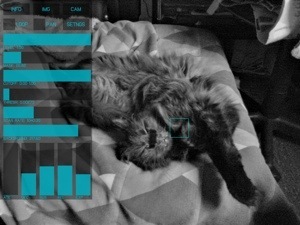 All screens have a “?”(Help) to tap that (as shown in above screen shot) will briefly describe each parameters behavior. More detailed instructions can be found at the developer website, linked at the top of this review. Each parameter field has some form of a menu to open. As shown above, touch the “Configuration” box to bring up the options for that parameter. Wave a, and b can be wildly different and further mapped out sonic realms can be explored and designed in great detail. The Stereo Width and Fatten are two nice parameters that should not be ignored. The ‘shadow oscillators’ and stereo impact can be manipulated for a delicate or brash effect. The virtual keyboard is pretty standard with programmable key and scales. Aftertouch controls can be assigned and routed. Adjust keyboard size, lock it etc. I think little need be explained here? Pretty standard stuff. The Mod section is where things get fun. 9 banks of modulation options with general base value controls and further detailed controls are revealed when touched and selected. 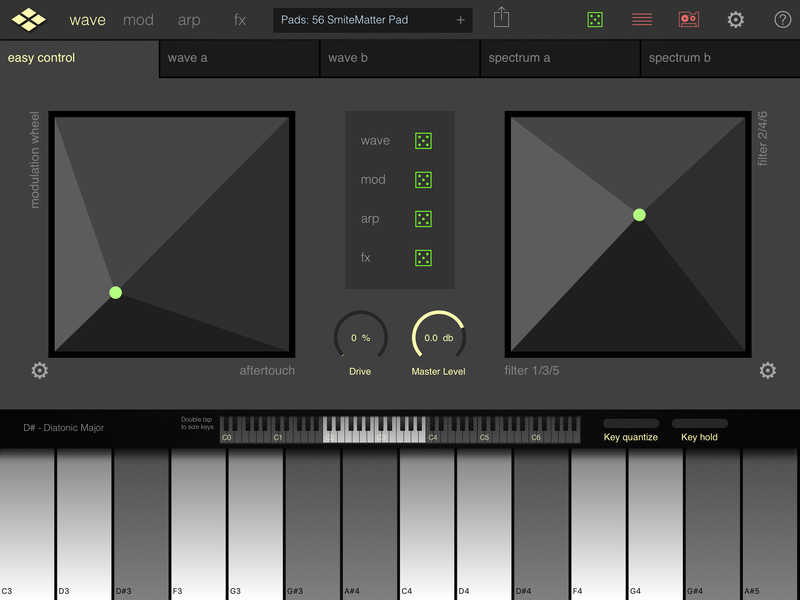 Assign, route and edit values for modulation. LFOs have 6 wave form options, phase and delay rates. ADSR, Analog Filters and more can be found for a powerful set of modulation tools. I just wanted to show the Mod section without the “?” Help turned on. 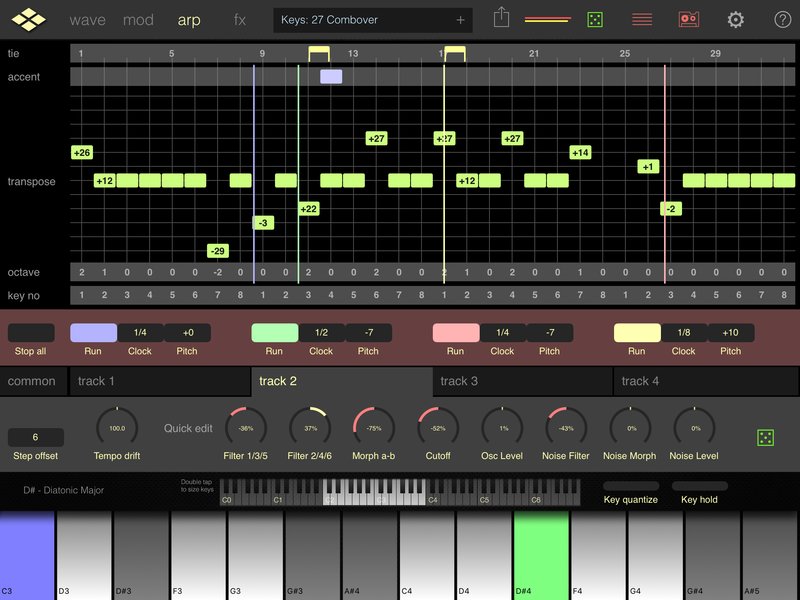 The Arp section has the usual and excellent VirSyn arpeggiator but with a added twist in Addictive Pro. It’s a 4 part polyrhythmic arpeggiator. This is very cool. Basically a 32 step sequencer with 4 separate parts, or ‘tracks’. This is a special feature in my opinion, for any synth. This is an amazing way to create grooves and melodies with intricacies not commonly provided. 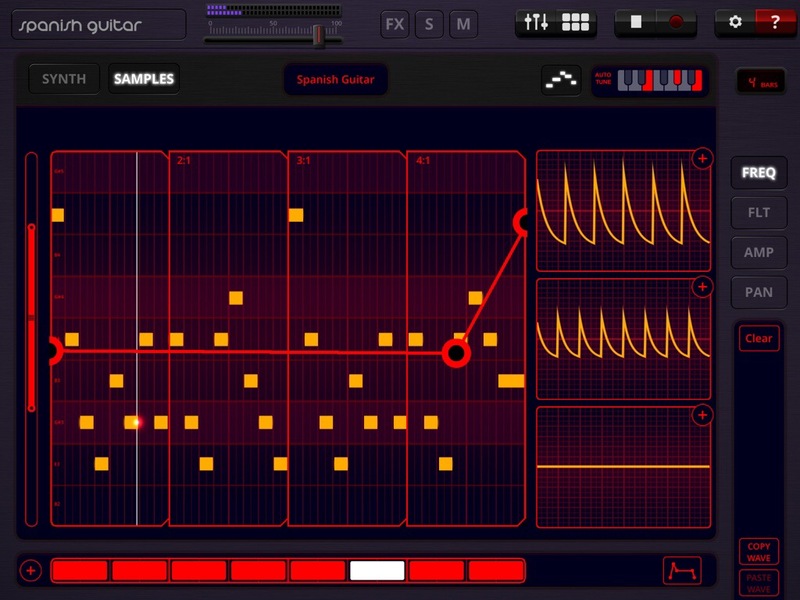 Each part can have a different clock or pitch with a step offset to make rich sequences. Individual run switches that when selected are always in time. 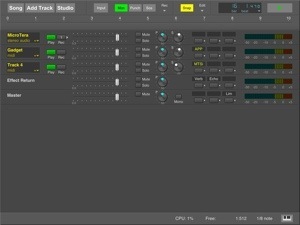 Each part also has its own “Quick Edit” set of parameters to customize the sound. It’s really a remarkable feature with huge possibilities to explore. Plus you can record right here in the app. Most synths have FX of mediocre quality. VirSyn doesn’t skimp on the FX like other do. Each of the 7 FX banks sound very good. 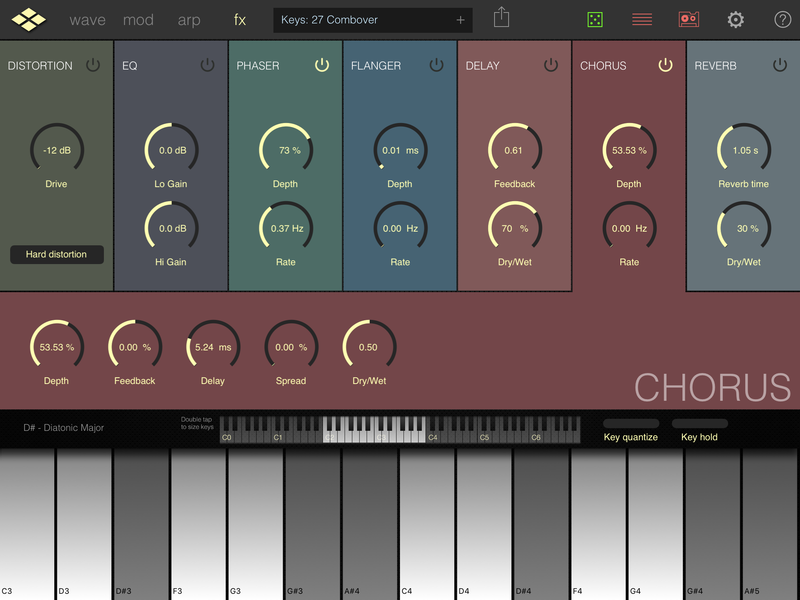 You won’t get a better reverb unit that is built in to another synth. When VirSyn says “Hi End Reverberation”, they aren’t over selling. It really is hi end. Not quite as hi maybe as a stand alone dedicated reverb app, but still very nice. All of the FX units are well done, and don’t sound like last minute cheap add ons. 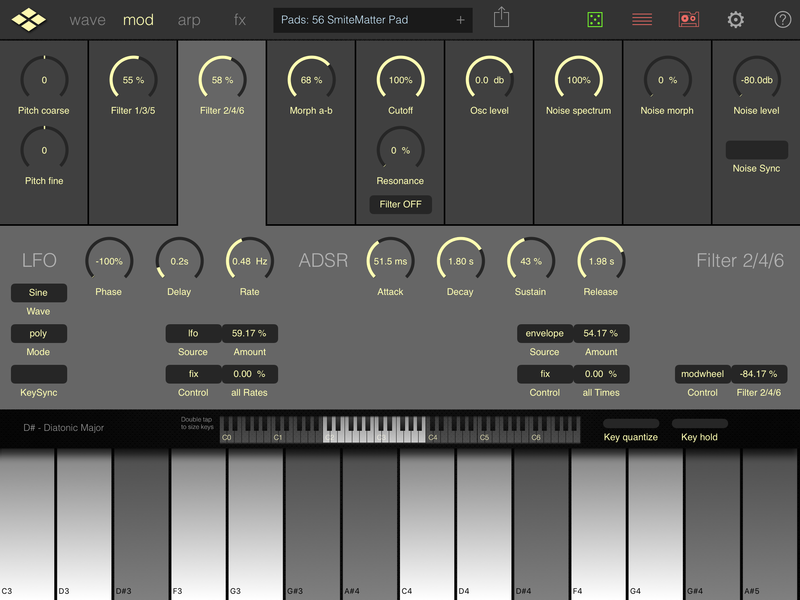 To sum it up, Addictive Pro is a highly capable, powerful synthesizer packed with all of the tools and parameters you need to make just about any type of sound. 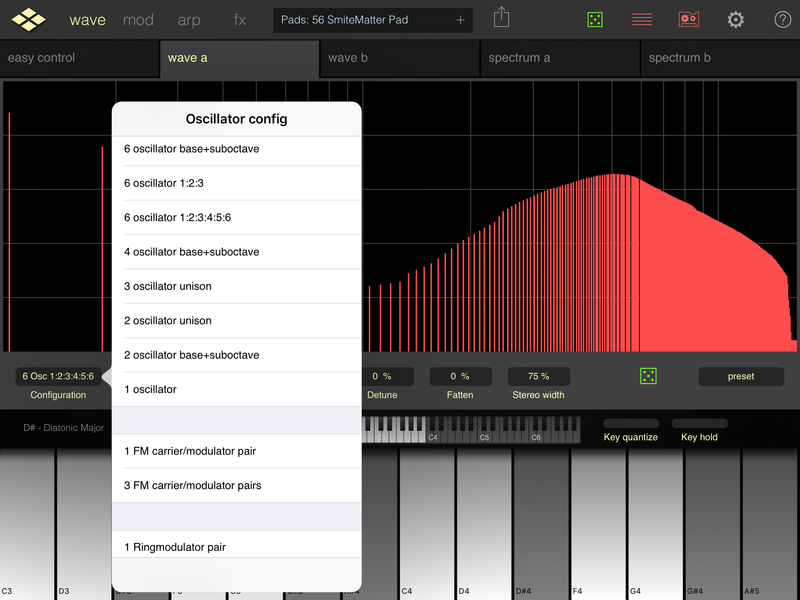 A sophisticated hybrid, wavetable oscilator synth that is stable and complete. 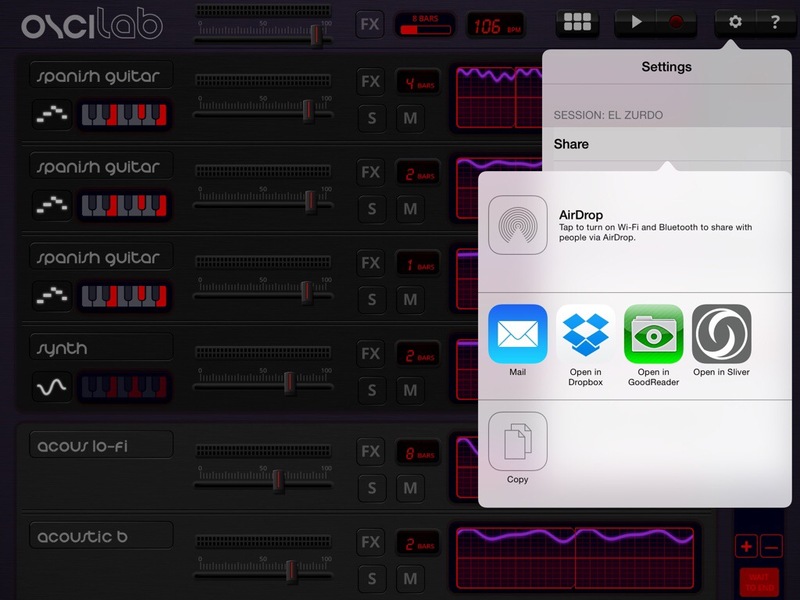 Supports Core MIDI, Inter-App Audio, Audiobus 2, Abelton Link and more. 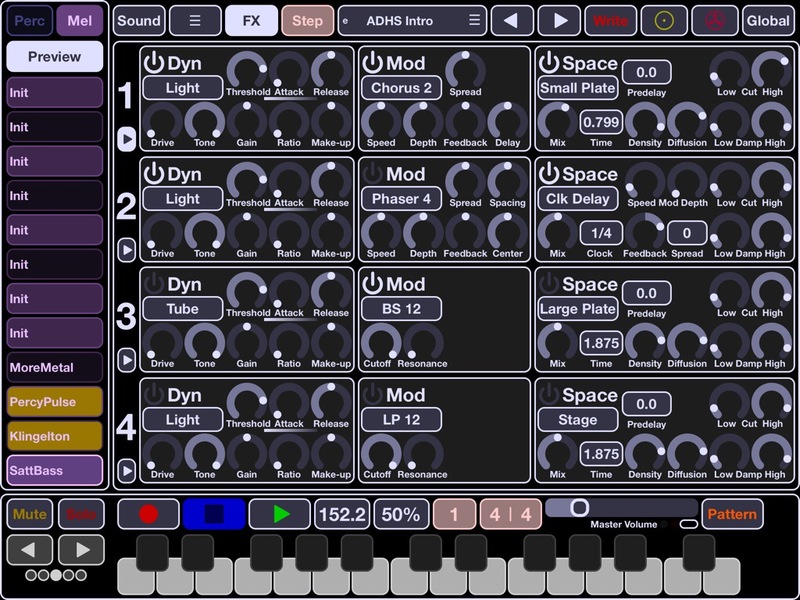 If there’s only one iOS synth to buy so far this year, it’s Addictive Pro. 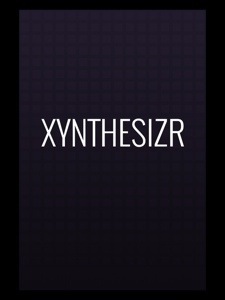 Short of a remarkable new release from another developer I’d call this the Synth of the year! 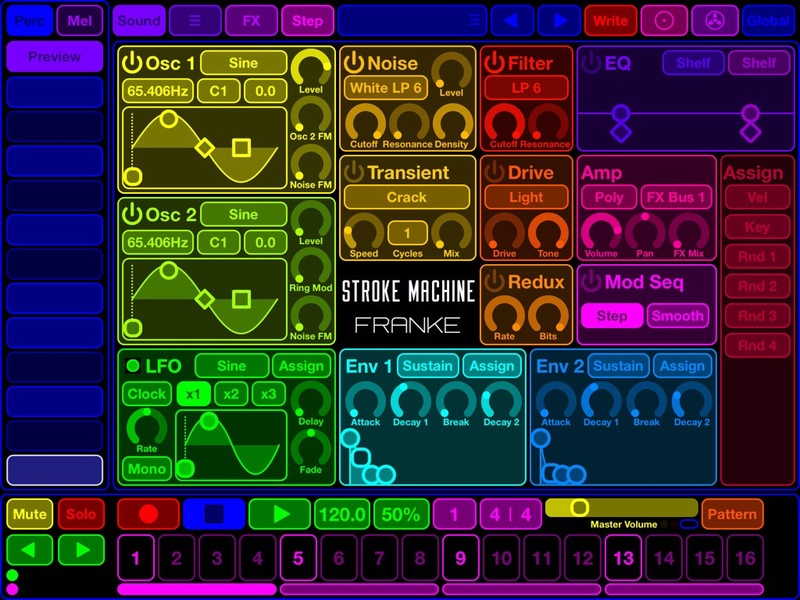 Wolfram Franke dives in to iOS music production with the colorful release of the unfortunately named “Stroke Machine”. Really. That’s its name. In the many hours I’ve spent with Stroke Machine I never once found anything that brought on an “Aha!” moment of clarity that explained why this name was chosen; I just can’t make the connection. My inner 15 year-old came up with at least a dozen alternate names that could be just as hilarious, but that’s a different immature article. This new and interestingly designed groove box has a lot to offer. A whole heckuva lot! Stroke Machine is a full service “groove box”, synth, beat maker, 128 pattern sequencer and full on work station. To start, this machine certainly has plenty of very nice features and functions for designing multitudes of drum and synth sounds. The built-in synth has two oscillators sporting the standard analog waveforms. A built-in sample player which earlier had problems but is working much better today. The number of voices are limited only by your device CPU. Modulation controls for frequency and ring also allowing quantized automation of the sounds. Multi mode filters, white and pink noise generators are here too. The tone generators run to a transient generator, and another multimode filter. There are four effects busses and about eight sound FX. Routing, LFO, ADSR or ADBD envelopes with variable slope, and more. Much more, (linked below) the list of features is substantial. 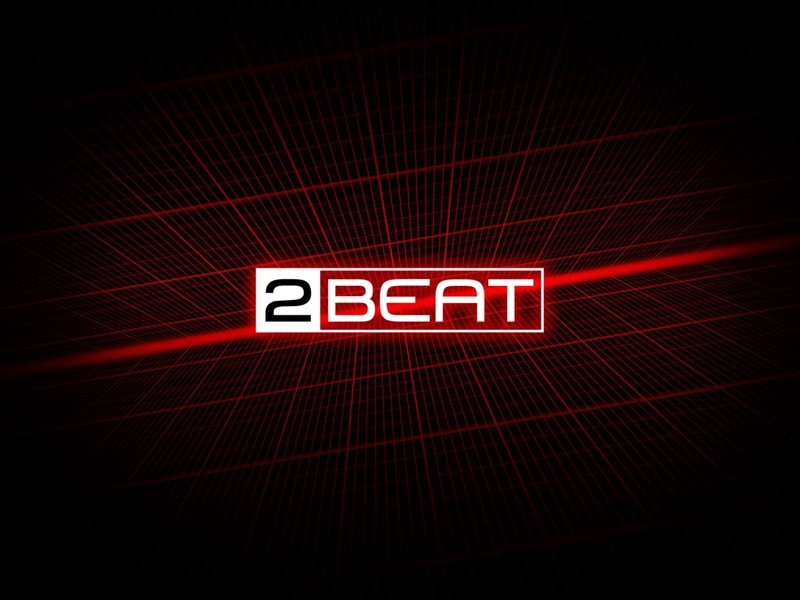 Next is a 128 pattern/”kit” step sequencer and each pattern has room for twenty four (12 perc and 12 melodic) sounds, and tracks with many common parameters like Tempo, Swing, Measure, mute, solo, etc. 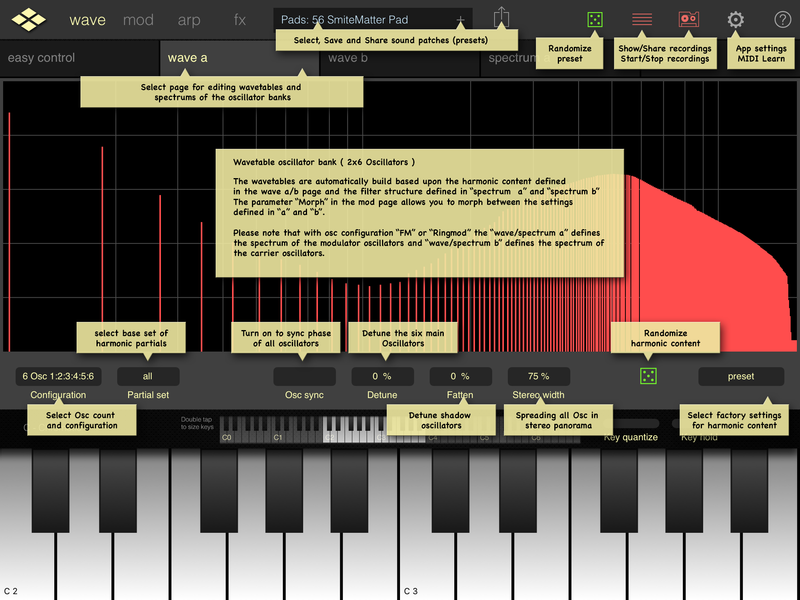 Also featured is a detailed note editor, modulation automation, and quantize. Like I said there are lots of bells and whistles. I can’t list everything completely. Check out Franke Musicfor all the details. They say loading, arranging, and so on is done intuitively and quickly. I don’t fully agree with that and find much of that aspect of this app to be anti-intuitive with some things being in places I wouldn’t have instinctively expected. Nevertheless it’s all there and its working. Problems with Stroke Machines early iterations had been plagued with debilitating bugs and missing key features. A somewhat rough start leaving many to feel like they bought a half baked beta with huge potential. This seems to happen a lot for some reason? Thankfully Wolfram Franke has been on top of it all and addressing the many early flaws with considerable and affective updates. Prior to the most recent update (2-19-2014) Stroke Machine was largely unusable. At least up to its greater potential. That has all changed. Thank you Mr.Franke. The sample player is working well now. A new “subdued” color scheme option is installed allowing the user to replace the original color nightmare resembling a plate of vomit from a multi colored yarn doll. I like the the new color scheme a little better. It feels like it takes some of the over crowded impression down a notch or two. Still, its pretty crowded, but with improvements made to the rotary or linear orientations and how they respond to user input is better. The FX generally are all decent, serviceable for what they are intended. Navigation, buttons or sliders and dials still on occasion fail to respond requiring some additional touches. Changing to a different kit of sounds throughout the arrangements works great now. Using Stroke Machine with Audiobus has gotten better, and more stable. 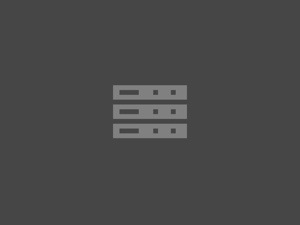 Inter-App Audio hosting is supported. 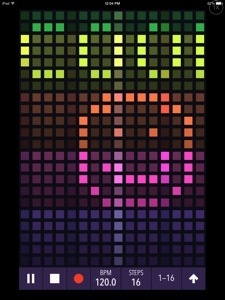 MIDI clock sync, and virtual MIDI have been added. AudioCopy for performance and recordings, and AudioPaste for samples has been added. Adjustable latency settings are now included. Generally a large amount of fixes, and new additions have brought Stroke Machine up to speed. It inspires customer confidence seeing the attentive actions of this developer. Kudos there. The multi range keyboard is nice, but it’s just too tiny. I don’t know how that can be addressed considering the lack of screen real estate to work with. I suppose it’ll have to do, and for the most part it will suffice. The potential was always there, and now with massive improvements and much needed additional features, Stroke Machine is delivering. All in all, Mr. Franke thought well to offer a huge creative environment for us to use and do a great many things. Fun, useful and maybe at times still frustrating, Stroke Machine is not kidding around. This ambitious app may have had a bumpy start, but today it is a powerful, stable and inspiring machine. Not yet perfect, but definitely one to seriously consider picking up. Things have been crazy off the rails for me lately. I thought I’d take a break from blogging and making music after my second album Chapters released. It kind of went on a bit longer than I intended. Now that my blogs 3rd anniversary has come by recently among many personal distractions, I can start getting back to it all. Part of my extended break was due to a sudden living situation problem. Our slum lord has allowed the property we rent a portion of go into default with the bank. So that stressed things a bit. One thing after another. Long story short we have to find a new place to live by the end of July. On a positive note I’ve begun work as a Community Manager for a cool flight sim developer, Flying Development Studio. They make the Infinite Flight app. The work is actually very fun, but also limited hours. Not enough to live on or even move yet, but hey it’s better than nothing. I can’t complain as it’s something I really enjoy doing and it may grow in to something more. Back to making music and writing reviews. I have had some interesting new music apps come my way and am exploring them with the intention to prepare a few new reviews. 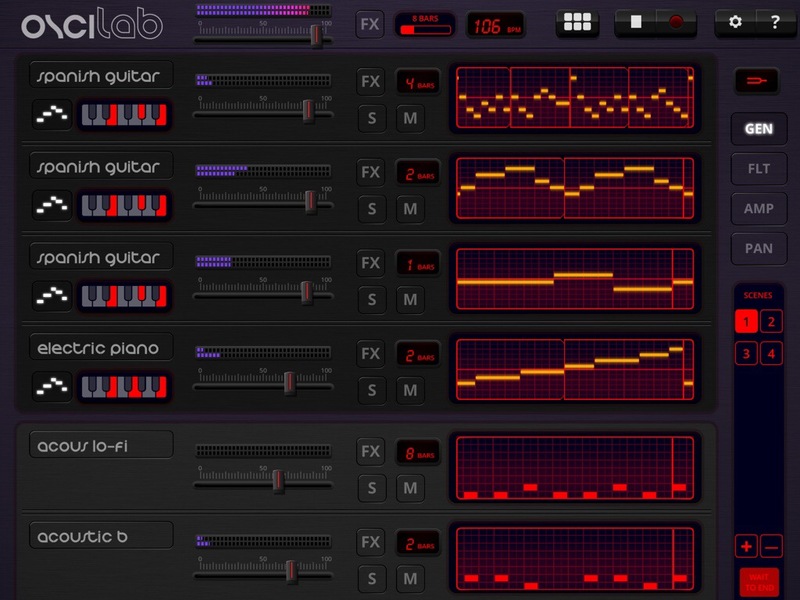 Apps like B-Step, Crystaline, Bird Stepper, and GliderVerb to name a few. I am also formulating some sort of a EP plan for new music. I want to do some experimental drone style ambient or “space music” stuff. I know it’s not exactly a popular choice but it’s the sort of thing I want to do, and haven’t done much of yet. At least not any I’ve released. So thank you for stopping by even though I’ve been under a rock. I was surprised to see that visits to this page (oddly) increase while I was silent. Ok, cool. Maybe that’s a hint? Haha. For better or worse, like it or not, I’ll be posting new things again very soon.